Click here if you don't know how to play these offers. If you don’t know how to profit from these offers, ask in the Facebook group, if you’re not a member you can request access by messaging me here. You can also find out more in the matched betting blog. To find out the back and lay amounts to back and lay your arbitrage bets you can use the matched betting calculator here. The Selection – Australia to win or draw. 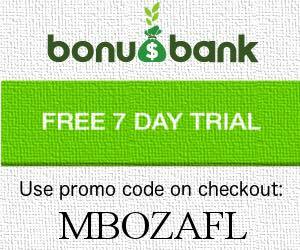 Check out the free BonusBank 7-day trial to make more money matched betting daily, Oddsmatcher and other software included. I recommend you give the free trial a shot and make yourself some more risk free profits. You can sign up here using the code MBOZAFL for a free 7 days.